There is an awesome SALE happening RIGHT NOW! Use the code CREWFOLLOWER to claim your discount. Clicking on the banner will take you to SchoolhouseTeachers. 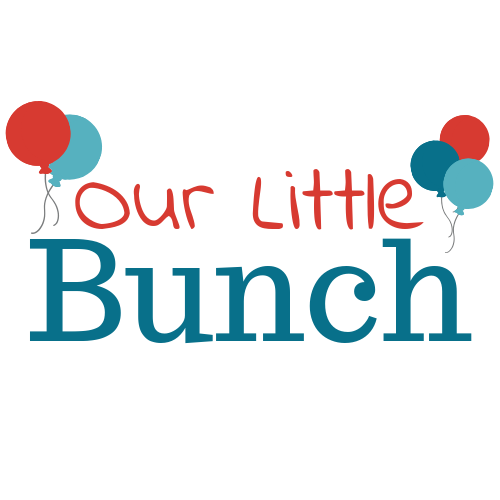 This post contains affiliate links – using affiliate links from OurLittleBunch helps to contribute to this blog and our homeschool – thank you! I’m very excited to announce that I was recently accepted to the Homeschool Review Crew! Bring a part of the Review Crew gives me the opportunity to try various homeschooling products and give you my honest opinions about them. No more wasting time wondering if a product is worth looking into. I will be giving you all the details right here, from one mama to another! My first product review to share with you is the Yearly Membership to SchoolhouseTeachers.com! SchoolhouseTeachers.com is a subscription-based website full of curriculum from preschool to high school. You will also find courses and resources for parents. They cover all your regular subjects, as well as many electives as well! Choose from a variety of online courses, videos, printables and even planners! One of the first things I wanted to try with my own children was the Adventures In Writing course. It is perfect for both my 2nd grader AND my 5th grader, as they can each work at their own pace and capability. The course takes them through the full process of creating their own story. From creating characters and a setting, to developing their own plot. It walks them through writing the beginning, middle and end of their story, and then teaches them to go back to add more detail and edit their work. The process was super easy, they even provided cute printable worksheets to go along with each lesson. I was able to teach each lesson by using the printable Lesson Plans for parents. Both of my children were asking me each day “Can we do the story writing first?”. I think that is a good indication that they are enjoying the course! Another area that I was really impressed with was the Just For Parents section. If there is anything you are worried about as a parent or homeschool teacher, I bet you will find answers and inspiration here! – And there are so many MORE! In this section you’ll find many tools to help make your homeschooling journey a little bit easier. Some of these tools include schedule builders, report card creators, a scope and sequence, and special needs help. There is even help to streamline your household tasks, such as organization tips, monthly menus, and whole foods cooking! You’ll receive encouragement from Bible studies, parenting articles, and homeschooling tips from veteran homeschoolers. Just these resources alone would be more than worth the subscription cost of SchoolhouseTeachers.com. I’m looking forward to diving into many of these great courses and articles. Your membership with SchoolhouseTeachers.com includes some great Freebies too! One of those awesome freebies that are included free of charge is a subscription to numerous World Book libraries, which is one of the newer features of SchoolhouseTeachers.com. The World Book resources are broken up into 10 different libraries: Early World, Kids, Student, Advanced, EBooks, Timeline, Social Studies Power, Science Power, Discover and Spanish Library. Membership to SchoolhouseTeachers.com also provides your family with free access to hundreds of streaming videos from providers including Creation.com, Drive Thru History, Vision Video, Discovery House, Boat Angel, City on a Hill, RightNow Media, and more! Many of these videos are a part of the different courses offered, but they have also listed them in a Video Library section of the website so that you can watch them whenever you like! Why not watch a video about Drawing with Realism? So now that you’ve read my review, go ahead and visit SchoolhouseTeachers.com for yourself! If you’re not quite convinced that it will make a great addition to your curriculum, why not read some more reviews by other awesome homeschooling moms HERE. Now I’m off to print out a FREE planner and learn how to use Applecore Recordkeeping (YES, they are both included with your membership)! This looks like a wonderful resource for homeschooling! I really like how there are courses for parents as well. Very helpful! Looks like a really great resource. I see they have a special offer on right now to try it out. That’s really great! Looks like a great place to find resources for homeschooling. The courses for parents look really good, too! That is really cool that you get to try out different curriculums, ESPECIALLY while your kiddos are still young. I really appreciate the variety available through schoolhouseteachers.com – thanks for sharing the review!